That which was old may not ever be entirely new again, but those who are only just becoming acquainted with absinthe soon find themselves fascinated by the myths, rumors and lurid details of this forbidden liquid from times gone by. Tales of madness, murder, and hallucinogenic experiences rivaling those of illicit drugs swirled around absinthe in 19th century Europe, and after lying dormant for nearly 100 years, whispers of the same sort returned in the late 20th century to seduce a new generation looking to romanticize its own version of fin de siècle fatalism. New myths and legends involving absinthe were added into the pantheon of already tall tales and half-truths, such that the mildly entrancing experience of preparing and enjoying a glass of absinthe was now supposed to have heightened artistic ability to a level just short of demonic inspiration. That the liquor was banned by several countries in the very early 20th century, including Switzerland (absinthe’s birthplace), the United States, and France (its primary manufacturer and consumer) only added to the mystique. Even so, the traditional absinthe ritual comprising sugar, water, and spoons didn’t seem to be sufficiently alluring for some, and through a combination of historical revisionism and clever marketing ploys, it was introduced into popular belief that there were antique precedents for including matches, occasional opiates, and a mathematical importance for thujone. Stories of fiery rituals in the faraway bars of Amsterdam or former Czechoslovakia made their way further west, as did dubious bottles of brightly-colored “absinth,” and movies and music videos featuring ultra-stylized representations of absinthe preparation. As a result, a new interest was sparked for a liquor which had been all but entirely forgotten in the Americas, and after years of legal wrangling, it was announced that real absinthe finally was again available here for the first time since 1912. 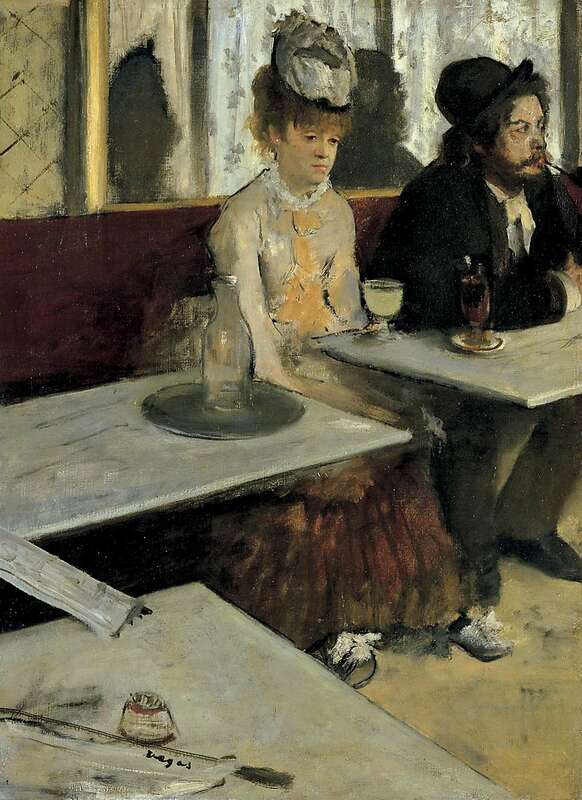 In the past decade or two since the problematic initial resurrection of absinthe in the public consciousness, however, came both a renaissance of true absinthe distillation, as well as a return of some of the more serious condemnations of the drink. As a new generation of folks painstakingly researched century old documents to discover how fine absinthe was made and created faithful reproductions so that modern consumers could see what it was about this green liquid which for a time had made it even more popular in France than wine, many of the same misunderstandings of absinthe, particularly with regard to what thujone’s role is in absinthe, and how significant the levels are and are not, were disseminated exponentially via the internet. Some of that was done intentionally: unscrupulous distillers were attempting to sell and justify the fake version of absinthe which they had been making since the 1990s, while at the same time some potential consumers were willfully perpetuating the Faustian fantasy of a mystical, mind-altering potion which inspired great paintings and poetry at the cost of health and sanity. Further complicating matters were that some folks were raising honest concerns based on the few medical and scientific reports made in the 19th and early 20th centuries which seemed credible. 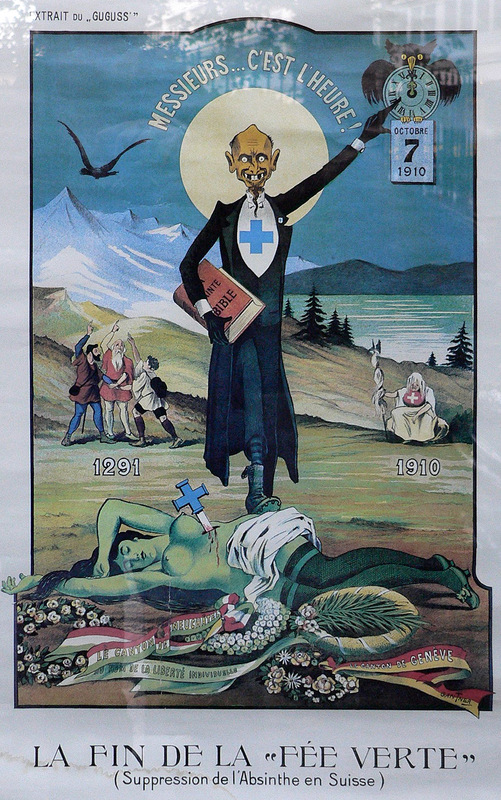 It wouldn’t be until later that modern chemistry could disprove the notion that absinthe was somehow more dangerous or drug-like than other alcoholic drinks, but even then, there were many with a vested interest in continuing to make wild claims about the effects that their brand of absinthe would conjure, and a lack of a legal definition of absinthe allows them to continue to hawk what amounts to green-dyed schnapps as absinthe (or “absinth”).